From the ground up you will see that this 5 bedroom, 3.5 bath home is almost a brand new house. NEW Items include; Metal roof, Weatherlock double hung windows, interior doors, hardwood floors, tile, luxury vinyl, carpet, granite counter tops, decks, interior and exterior paint, bathroom vanities, 1/2 flush toilets, plumbing, fixtures and much more. 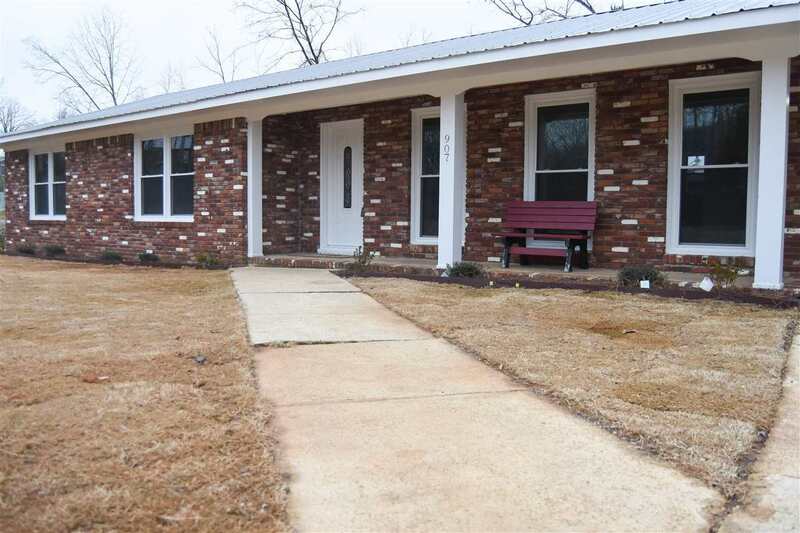 Home has a formal living room, formal dining room, sunken den, eat-in kitchen, master suite with gorgeous 12x24 tile in updated bath and tub surround. The kitchen is bright white with granite counters, subway tile backsplash, breakfast bar, newer stainless steel appliances and pass-through to dining room. Home could have 2 master suites or in-law suite with separate entrance. Lovely stream from the mountain creates a nice sound in the backyard. Fenced backyard and front yard have sod. Driving Directions: Hwy 21 N, Right Onto Mountain St, Left Onto Dempsey Dr, Left Onto 9th Ave, Home On The Left.